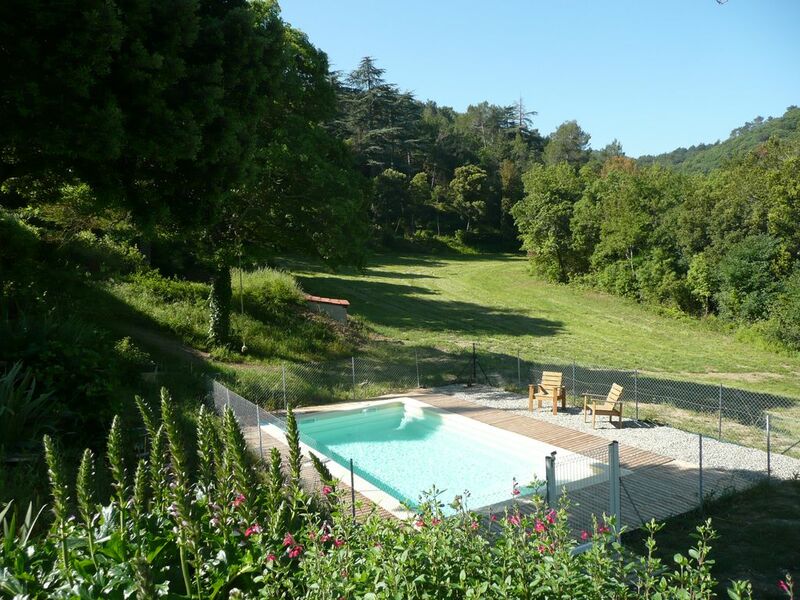 Old sheepfold in an exceptional site, with private swimming pool. At 6km from Carcassonne at the end of a stony road, at the gates of the wild Corbières, this cottage in the "shepherd's house" of an authentic sheepfold of the XVIII °, will offer you exceptional conditions of calm and freedom in a site Hilly and wild. The house with spacious rooms has the charm of old and the comfort of a family home in the countryside. On the ground floor you will find a kitchen opening onto the garden, a living-dining room with a fireplace, and a large stable converted into a room to be lived for the summer. On the floor 4 rooms, ch. 1: 1 bed 160, ch. 2: 2 beds 90, ch. 3: 3 beds 90, ch. 4: 1 bed 140 + a cot and changing table. The cottage is equipped with a bathroom, a bathroom and 2 separate toilets.